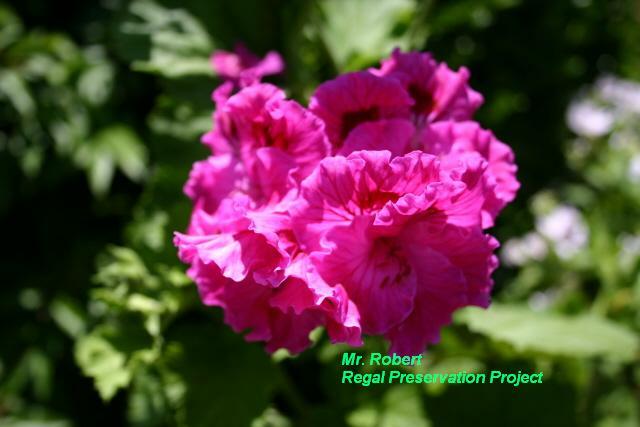 What is the International Regal Preservation Project? 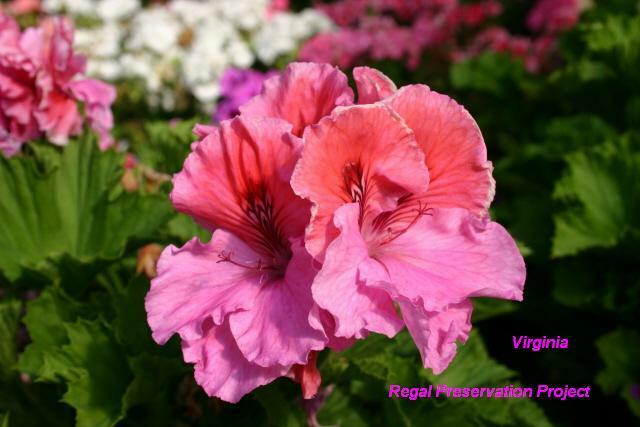 and in Europe it's called the English pelargonium. Regals have saw-tooth-edged leaves. Most of them have green foliage, but a few have variegated white and green leaves. 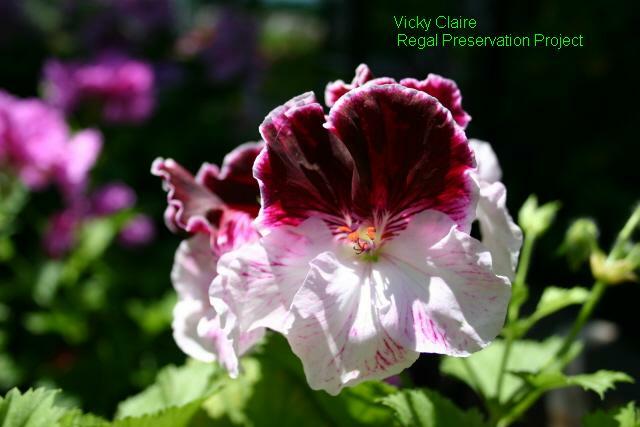 The petals of a regal pelargonium display many shades of color, from white thru pink, red, and purple all the way to nearly black. 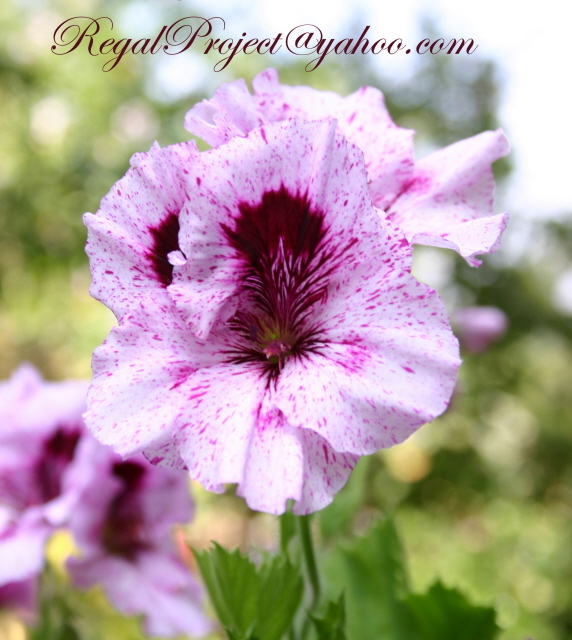 will result in a plant that will usually have a cultivar name so that people can reference that plant in discussions. rooting cuttings taken from a parent plant to get a plant that is like the parent. 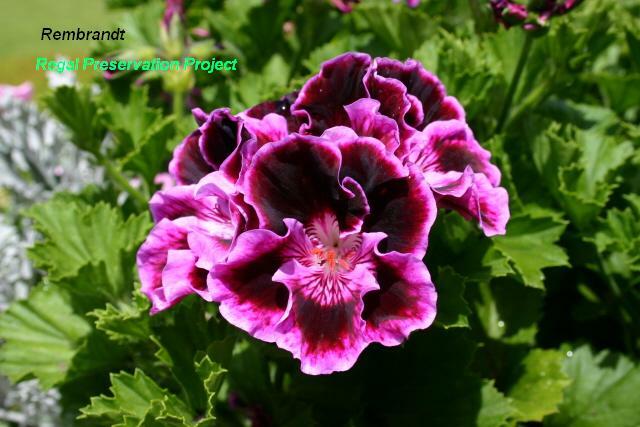 cultivar so that more plants of that combination of characteristics may be preserved.